We offer many day care programs at our child care center, from ages 2 years to 12 years old. Our philosophy for early childhood learning is that each child is unique and that each child learns in a different way. Our job as child care providers is to help your child discover his or her independence. Below you will find information about our child care programs. 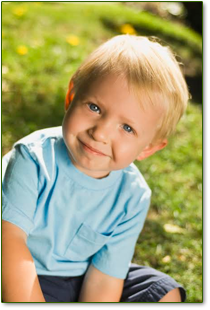 Our Twos program is dedicated to helping your child exceed in early childhood development socially and intellectually. This room can hold a maximum of 8 children. Children in this room must be 2 years old before October 15th of the enrolling year. We maintain a 1:6 ratio, meaning one teacher per six children. 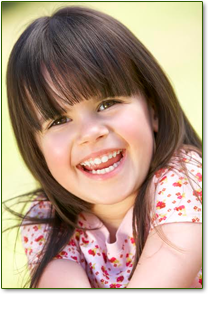 The registration fee, security deposit, and all paperwork is required before your child can begin our program. Three's Enrollment: The non-refundable registration fee and security deposit must be paid before your child(ren) can start. All required enrollment forms must also be turned in before your child can start. Children develop confidence through cooperation and compromise when working in small and large group settings. Students are encouraged to build on ideas and activities as they continue to grow and learn. The children in the two and three year old classroom have a diverse choice of educational activities. Helping the children work as a class to develop the rules that will benefit them. Develop an understanding of concepts about themselves, others, and the world around them through observation, social interaction, real objects, and seeking solutions to interpersonal problems. Grow in social skills such as cooperation, negotiating, and talking to solve interpersonal problems. Experience success and be proud of their achievements. Develop high self-esteem and positive feelings toward learning. Opportunities to use hands on manipulatives. Learn numbers, colors, shapes, letters; along with themes. Preschool Enrollment: The non-refundable registration fee and security deposit must be paid before your child(ren) can start. All required enrollment forms must also be turned in before your child can start. 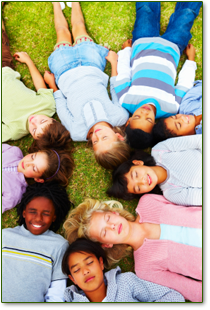 Children develop confidence through cooperation and compromise when working in small and large group settings. Students are encourages to build on ideas and activities as they continue to grow and learn. The children in the preschool classroom have a diverse choice of educational activities such as language arts, reading, music, social studies, math, science, and music. 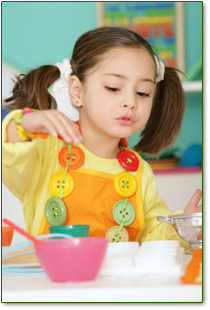 Ferndale Day Nursery preschool is a full day pre-Kindergarten educational program. Beginning at 9:00am the children begin a structured class environment. The goals and learning activities for each day are outlined and posted weekly on the parent board in the classroom. Pre-reading and pre-writing skills are developed through the use of journals, a class library, and a constant exposure to print. Math concepts are developed in a variety of ways. Preschoolers count daily during calendar, use hands on manipulative to help count and understand numbers in a concrete way. During dramatic play and other forms of free play the children are given the opportunity to experiment with numbers and letters. Students will learn letter recognition and sounds. Preschoolers will write their first and last name. We will work on one letter a week. Students will learn to recognize and write numbers 1-20. Students will learn how to count to 100. Preschoolers will participate in hands-on activities and child enrichment programs to develop a better understanding of citizenship, the natural world, cultures and heritage, maps, and the government. Students will engage in activities that reflect science and the natural world. Our before and after school program consists of homework help, art projects, group lead games and activities, free play, and outdoor play. We will also take several field trips throughout the year when schools are out for the day. School age enrollment rate does not change during half days or when schools are out full day. These rates will stay effective during the time that students are enrolled in school. However, rates will change during the summer months. Summer Care Enrollment: The non-refundable registration fee and security deposit must be paid before your child(ren) can start. All required enrollment forms must also be turned in before your child can start. School-age children are invited to stay the summer and attend our summer camp which consists of field trips several days of the week; as well as weekly trips to the pool. The summer camp program is for children ages 5-12 years of age and children with special needs up to the age of 21. Ferndale Nursery is a Child Care, Day Care & Nursery School located in Ferndale, Maryland (MD) and serving Glen Burnie, Pasadena, Baltimore, Anne Arundel County and surrounding areas.